Two German archaeologists kidnapped in Nigeria’s north-western state of Kaduna were freed on Saturday (25 Feb). Peter Breunig and Johannes Buringer were taken by gunmen on 22 Feb in Jenjela village, near Kagarko. Two villagers who tried to help them were killed by the gunmen. Jenjela is 80km (50 miles) from Kafanchan, where more than 800 people have been killed since 2011 and where the Nigerian army is setting up a new base to tackle growing inter-ethnic conflict between the indigenous mainly Christian farmers and Fulani nomadic pastoralists. The week before the Germans were taken, heavily armed herdsmen killed at least 30 people, including two policemen, and destroyed homes over two days in the mostly Christian communities of Kafanchan and Kagoro. The kidnappers are believed to be ethnic Fulani. Fulani herdsmen have been cattle rustling and kidnapping people for ransom for years. Kidnapping has become a flourishing business in Nigeria. Several prominent hostages in recent months include clerics, diplomats and politicians. The kidnappers of the two Germans demanded 60 million naira ($189,000) for their release, but the Nigerian police said no ransom was paid. The archaeologists were conducting a study on Nok culture, an indigenous Christian community in southern Kaduna. The early Iron Age people, considered the earliest ancient civilisation of the West African region that is now Nigeria, are famous for their terracotta sculptures. Two German women with the two men were not taken hostage. Investigations are still ongoing to determine if there are any links between the criminals and perpetrators of the recent atrocities in southern Kaduna. Some reports of the kidnapping have also pointed out that, while the Nigerian capital’s airport is closed for repairs for six weeks from 8 March, Abuja-bound travellers will have to fly into Kaduna instead, and drive 100 miles south-west. Most international carriers say they will not operate in Kaduna. Two German archaeologists have been kidnapped by unknown gunmen in southern Kaduna, highlighting the growing insecurity in the northern Nigerian state. 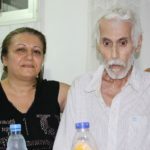 The kidnapping of the two men, who have been working in the region for 10 years, took place in Kagarko*, 80km (50 miles) from Kafanchan, where more than 800 people have been killed since 2011. Nigeria’s Middle Belt, which includes Kaduna, Nasarawa, Taraba, Benue and other states, is the scene of frequent attacks on Christian farmers (often called indigenes) by mainly Muslim Hausa-Fulani nomadic herdsmen. Earlier this week, heavily armed herdsmen killed at least 30 people, including two policemen, and destroyed homes over two days in the mostly Christian communities of Kafanchan and Kagoro. 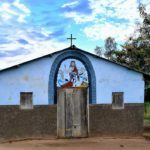 Local Christians say security personnel are preventing the Christians from protecting their own communities while allowing the Fulani to attack without any interference. The violence had reached a peak over Christmas when dozens of Christians were killed. That prompted local authorities to declare a 24-hour curfew in three Local Government Areas (LGAs): Jema’a, Kaura and Sanga. The Nigerian National Human Rights Commission in December 2016 had called on President Muhammadu Buhari to put an end to the ongoing deadly attacks. At the same time, the Socio-Economic Rights and Accountability Project asked the UN to investigate the killings. Dr. Agnes Callamard, UN special rapporteur on Extra-Judicial or Arbitrary Executions, promised to look into the massacres, with a view to ensuring that justice prevails and the culprits are punished. 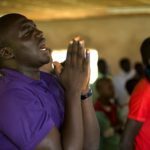 Church groups in northern Nigeria have condemned recent killings, which they say are aimed at wiping out the Christian presence in the region. 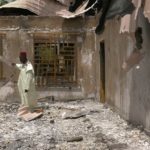 The attacks, which have claimed hundreds of lives, have affected mainly the central states of Plateau, Nasarawa, Taraba and Benue, but also Kaduna. 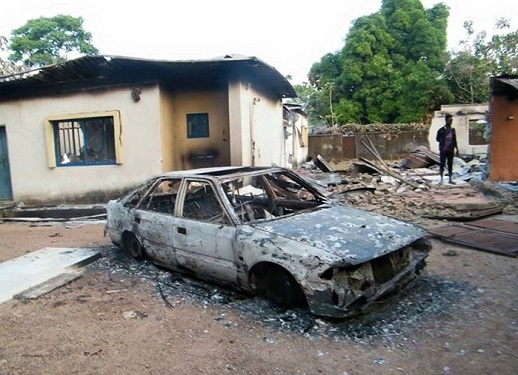 Southern Kaduna has been particularly targeted, with attacks occurring almost on a weekly, or even daily basis recently. Kaduna’s state government had responded to the insecurity by relocating the Army Commander and Police Commissioner to southern Kaduna. 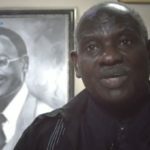 Many groups and individuals, including Peter Bawa, the Chairman of the Northern Christian Youth Assembly, have commended the state governor, Nasir Ahmad el-Rufai, for initiatives taken so far, believing that they will go a long way to curtail the menace of herdsmen who have plunged many communities in the area into mourning. However, some of southern Kaduna’s indigenous population interviewed by World Watch Monitor said the government was militarising the conflict, using military force as the first and not the last resort, often without civilian engagement. The state government has also accused church leaders, activists, journalists and even traditional rulers, seeking to raise awareness about the violence, of committing hate speech, incitement and attempting to secure foreign funding. Several have been taken in for questioning or briefly detained. On 17 February, activist and lawyer Audu Maikori, who had mistakenly tweeted a false report before retracting it and apologising unreservedly, was arrested in Lagos and flown to Abuja, where he was detained overnight on a warrant reportedly issued in Kaduna. *Southern Kaduna has eight LGAs – Sanga, Jema’a, Kaura, Jaba, Zangon Kataf, Kagarko, Kachia and Kauru – and is predominantly Christian; the worst hit LGAs are Jema’a, Kaura, Sanga and Kauru.